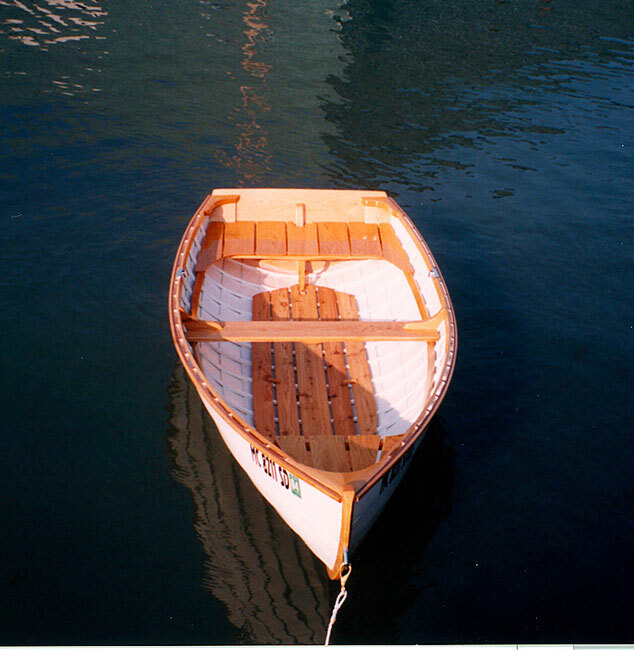 Frank Butler launched this lovely little rowing boat, SISSY, on June 27, 2001. 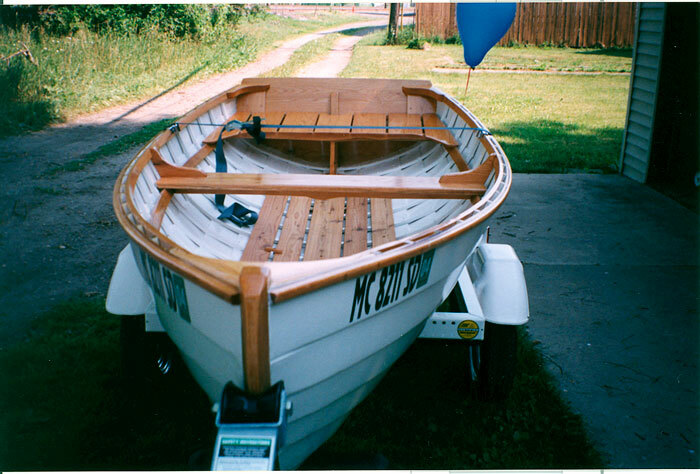 She is constructed of red cedar planking on oak frames.with backbone, wales, and knees out of red oak. 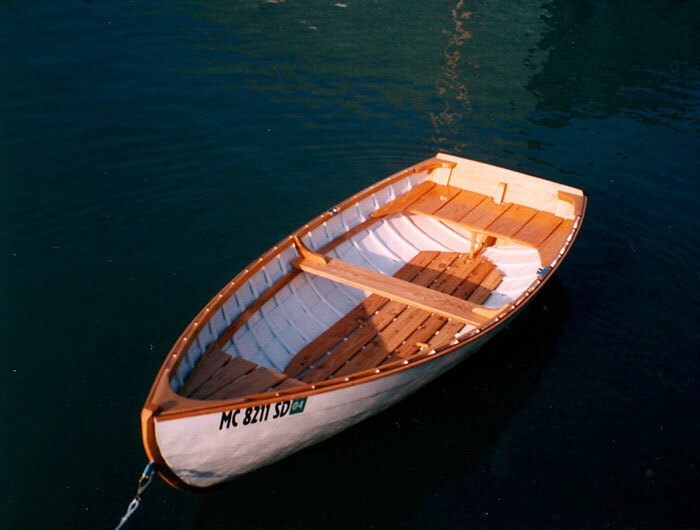 The hog, seatrisers, and timbers are of white oak. He used clinched copper nails and silicon bronze bolts for fastenings. The boat is 10'3" overall with a 49" beam. Simon Watts is the designer.